Many treatments for depression are no more effective than placebos. A warning: for people satisfied with their standard depression treatments, debunking myths about them may be troubling. However, for critically-thinking depression sufferers who have not been helped by antidepressants, psychotherapy, or other standard treatments, discovering truths about these treatments can provide ideas about what may actually work for them. Critical thinkers have difficulty placing faith in any depression treatment because science tells them that these treatments often work no better than placebos or nothing at all, and if one lacks faith in a depression treatment, it is not likely to be effective. In fact, it is belief and faith—or what scientists call “expectations” and the “placebo effect”—that is mostly responsible for any depression treatment working. Critical-thinkers can find a way out of depression when their critical thinking about depression treatments is validated and respected, and they are challenged to think more critically about their critical thinking. Many depressed people report that antidepressants have been effective for them, but do antidepressants work any better than a sugar pill? Researcher Irving Kirsch (professor of psychology at the University of Hull in the United Kingdom as well as professor emeritus at the University of Connecticut and author of The Emperor’s New Drugs) has been trying to answer that question for a significant part of his career. In 2002, Kirsch and his team at the University of Connecticut examined 47 depression treatment studies that had been sponsored by drug companies on the antidepressants Prozac, Paxil, Zoloft, Effexor, Celexa, and Serzone. Many of these studies had not been published, but all had been submitted to the Food and Drug Administration (FDA), so Kirsch used the Freedom of Information Act to gain access to all the data. He discovered that in the majority of the trials, antidepressants failed to outperform sugar pill placebos. In The Noonday Demon, the popular 2001 book about depression, writer and depression sufferer Andrew Solomon repeated the then urban legend that “more than 80 percent of depressed patients are responsive to medication.” Solomon accurately cites a journal article that states this statistic; however, following the “reference trail,” I discovered that the journal article that Solomon cited refers to a second article for evidence of this statistic, but this second journal article mentions nothing about 80 percent of depressed patients responding to some medication. The National Institute of Mental Health (NIMH) was aware that there was no research to back up the assertion that 80 percent of depressed patients improve if they keep trying different medications, so NIMH funded “Sequential Treatment Alternatives to Relieve Depression” (STAR*D), the largest ever study of sequential depression treatments. STAR*D results were published in 2006. In Step One of STAR*D, all depressed patients were given the antidepressant Celexa, and in Step Two, patients who failed to respond to Celexa were divided into different groups and received other treatments (mostly different drug treatments) in place of or in addition to Celexa. If their second treatment failed, there was a third and, if necessary, a fourth treatment step. In March 2006, NIMH triumphantly announced that 50 percent of depressed people saw remission of symptoms after the first two STAR*D steps. However, NIMH failed to mention in its press release that in the same time it took to complete these first two steps—slightly over 6 months—previous research shows that depressed people receiving no treatment at all have a spontaneous remission rate of 50 percent. In November 2006, following the completion of all four STAR*D steps, STAR*D authors claimed a 67 percent cumulative remission rate, which again exasperated many scientists because this number failed to incorporate STAR*D’s extremely high relapse and dropout rates. In an American Journal of Psychiatry editorial that accompanied STAR*D authors’ report, J. Craig Nelson, M.D, stated, “I found a cumulative sustained recovery rate of 43 percent after four treatments, using a method similar to the authors but taking relapse rates into account.” However, even 43 percent turns out to be an inflated rate. Separate analyses of STAR*D in 2010 by psychologist Ed Pigott and medical reporter Robert Whitaker revealed that STAR*D researchers had inflated remission numbers by switching mid-study to a more lenient measurement, and also by including patients who were not depressed enough at baseline to meet study criteria. But even taking the STAR*D data as is, Pigott’s analysis revealed that less than 3 percent of the entire group of depressed patients who began the STAR*D study can be ascertained as having a sustained remission (i.e., actually participated in the final assessment without relapsing and/or dropping out). Andrew Solomon in The Noonday Demon also states, “ECT seems to have some significant impact between 75 and 90 percent of the time. About half of those who have improved on ECT still feel good a year after treatment.” Is ECT really that effective? First, the good news about CBT. The only non-drug treatment examined in STAR*D was a form of cognitive therapy (which was not fully detailed by STAR*D authors and only administered in Step Two). Among those who failed Celexa in the first step, three groups in Step Two switched from Celexa to one of three antidepressants, and their remission rates ranged from 25 to 26.6 percent; but one group in Step Two switched from Celexa to cognitive therapy, and its remission rate was 41.9 percent. STAR*D researchers did not assess whether any differences in treatment effectiveness were statistically significant. In April 2002, an NIMH-funded study on the antidepressant Zolof, the herb St. John’s wort, and a placebo had some curious results. The findings were that 32 percent of placebo-treated patients experienced remission, better than the 25 percent remission for the Zoloft-treated patients or the 24 percent remission for the St. John’s wort-treated patients. Most scientists would say that this study shows that neither Zoloft nor St. John’s wort worked, but those subjects who had positive outcomes with these two treatments would disagree. So, does this study show that antidepressants and St. John’s wort are not helpful, or does it show that “expectations,” belief,” and “faith” are the likely factors that make all treatments work? When assessing whether a specific treatment is effective, scientists are trained to rule out the effect of expectations. Researchers evaluate a depression treatment as effective if, in a controlled study, the treatment outcome is significantly better than a placebo. However, the reality of depression treatments is that expectations, faith, belief, and the placebo effect are—far and away—the most important reasons why anything works. In 2004, Heather Krell, M.D. and her group at the University of California in Los Angeles examined the influence of patient expectations on the effectiveness of an experimental antidepressant. They found that among those depressed patients expecting that the medication would be very effective, 90 percent had a positive response; while among those expecting the medication would be somewhat effective, only 33 percent had a positive response. No depressed people were included in this study who expected the experimental drug to be ineffective, but such nonbelievers, in my experience, rarely report a positive response with antidepressants. All treatments can work, but rarely do so if one doesn’t believe in them. Critical thinking and an absence of self-deception are crucial for success in many areas of life, but these same talents can be problematic with respect to depression. A more accurate notion of how truly powerless one is in a situation (such as family, an organization, or society) can result in a greater feeling of helplessness, pain, and depression. From several classic studies, we know that moderately depressed people are, in a sense, more critically thinking than are nondepressed people. These studies show that depressed people are more accurate than are nondepressed people in both their assessment of control over events and in judging people’s attitudes toward them. Researchers Lauren Alloy and Lyn Abramson at the University of Pennsylvania in 1979, studying nondepressed and depressed subjects who played a rigged game in which they had no actual control, found that depressed subjects more accurately evaluated their lack of control when either losing or winning. And researcher Peter Lewinsohn at the University of Oregon in 1980, found that depressed subjects judge other people’s attitudes toward them more accurately than nondepressed subjects. Before modern research borne out this problematic relationship between depression and critical thinking, the American psychologist and philosopher William James (1842-1910) recognized this reality based on his personal experience. James had a history of severe depression, which helped fuel some of his greatest wisdom as to how to overcome depression. In The Thought and Character of William James, Ralph Barton Perry’s classic biography on his teacher, in the chapter “Depression and Recovery,” we learn that James at age 27 described himself as going through a period of a “disgust for life” in which Perry describes as an “ebbing of the will to live. . . . a personal crisis that could only be relieved by philosophical insight.” What was James’s transformative insight? James was a critical thinker and had no stomach for smiley-faced positive thinking, but he also concluded that his pessimism might just destroy him. With his critical thinking, he came quite pragmatically to “believe in belief.” He continued to maintain that one cannot choose to believe in whatever one wants (one cannot choose to believe that 2 + 2 = 5); however, he concluded that there is a range of human experience in which one can choose beliefs. He came to understand that, “Faith in a fact can help create the fact.” So, for example, a belief that one “has a significant contribution to make to the world” can keep one from committing suicide during a period of deep despair, and remaining alive makes it possible to in fact make a significant contribution. Critical thinkers are skeptics who have difficulty with belief and faith, but depression treatments work to the extent that one has faith in them. Instead of viewing themselves as failures for not improving with standard treatments, depressed critical thinkers can logically acknowledge the downside of their temperament. 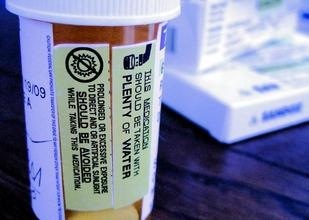 Myth busting about standard treatments enables critically-thinking treatment resisters to release their pain over “treatment failure.” The pain of failure is one of the many pains that results in depression as well as substance abuse and other compulsions that are fueled by a need to shut down one’s pain. Releasing any pain, including the pain of treatment failure, can be helpful. This page contains a single entry by sal published on December 7, 2010 9:00 AM. Doctors Continue to Kill and Injure with Horse Urine Estrogen was the previous entry in this blog. Rosalind Peterson: The Chemtrail Cover-Up is the next entry in this blog.